Combined forces will surpass IBM in enterprise security market share. If 24 hours is a long time in politics, then perhaps just over a week is the optimal time in technology. For in the space of ten days, IBM lost its enterprise security market crown. On June 2, Blue Coat Systems publicly filed a registration statement for a proposed Initial Public Offering, only to shelve its plans and join forces with Symantec in a $US4.6 billion acquisition on June 12. As reported by ARN, the move is designed to bolster the Symantec’s cyber security portfolio, and fill its vacant CEO slot, with Australian-born Greg Clark - CEO of Blue Coat - taking control of the new-look vendor. But while the mechanics of the deal are outlined clearly for the industry to digest, its impact on the market as a whole remains unclear. Although Symantec holds the second-largest share of the enterprise security market in revenue, its revenue and customer growth rates have been decelerating at an alarming rate, putting the vendor at risk of dropping to the No. 4 position by 2020, according to TBR’s Enterprise Security Market Forecast, 2015-2020. “Yet in a decisive and bold move, Symantec potentially reverses its outlook with the announcement that it intends to acquire security vendor Blue Coat Systems,” Technology Business Research Analyst, Jane Wright, said. Although Symantec stumbled with its last significant acquisition of Veritas, Wright believes Symantec’s acquisition of Blue Coat will prove much more successful. “The two companies’ complementary portfolios and diverse partner ecosystems will create revenue and margin growth for Symantec and a more relevant and comprehensive portfolio for customers,” Wright said. Read more ​Microsoft-LinkedIn - How will it impact customers, competitors and partners? After the acquisition is completed next quarter, the analyst firm claims Symantec will surpass the market share leader, IBM, while putting new competitive pressures on another market titan, Check Point. “IBM has been the enterprise security market leader for the past three years, but Symantec’s acquisition of Blue Coat will disrupt this position and compel IBM to turn its attention to endpoint security,” Technology Business Research Analyst, Jane Wright, said. Until now, Wright said IBM has focused its resources on larger security information and event management, identity and access management, and security analytics opportunities. Read more ​Why is Symantec buying Blue Coat? Going forward however, Wright believes IBM will consider acquiring an endpoint security vendor such as CounterTack or SentinelOne to lessen Symantec’s growth under Blue Coat leadership. 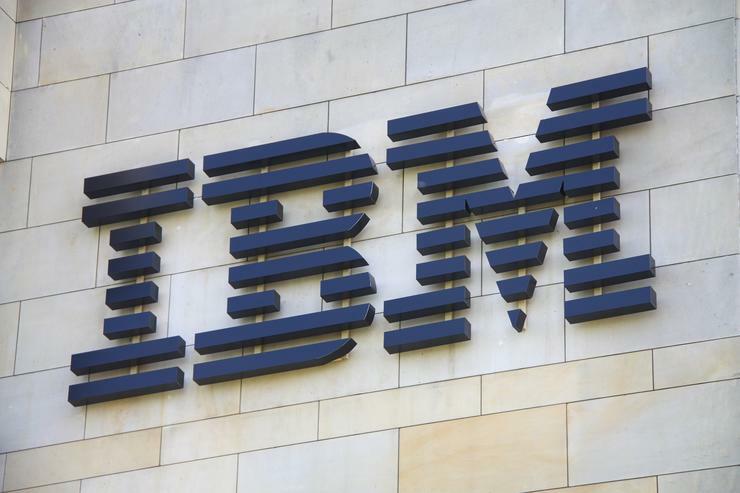 IBM aside however, Check Point Software Technologies will also be impacted by Symantec’s move. As explained by Wright, the 23-year-old security vendor has achieved “moderate, consistent” high-single-digit revenue growth on a broad portfolio including network security appliances, endpoint and mobile anti-malware blades, and web gateways, holding the No. 4 share position in enterprise security revenue. “But Check Point has not adapted its portfolio or delivery models as quickly as some competitors, such as Blue Coat, to address growing customer demand to protect cloud-based workloads with cloud-based services,” Wright added. Meanwhile, Cisco, the No. 3 share holder in the enterprise security market according to TBR’s estimates, will be impacted less by Symantec’s acquisition of Blue Coat, as neither Symantec nor Blue Coat are focused on the network security segment where Cisco earns most of its security revenue. “Many of Symantec’s recent declines were due to the challenges of shifting its traditional security portfolio and delivery model to address customers’ changing security requirements,” Wright added. “With the acquisition of Blue Coat, Symantec’s portfolio will expand to address more of customers’ most pressing security concerns, such as SaaS usage monitoring and security analytics.